Rep. Gregory Meeks (D-NY) told CNN Wednesday that his colleague Rep. John Conyers (D-MI) should step down from his post as ranking member of the House Judiciary Committee in light of a Buzzfeed report that his office paid more than $27,000 in 2015 to settle a complaint of sexual harassment. 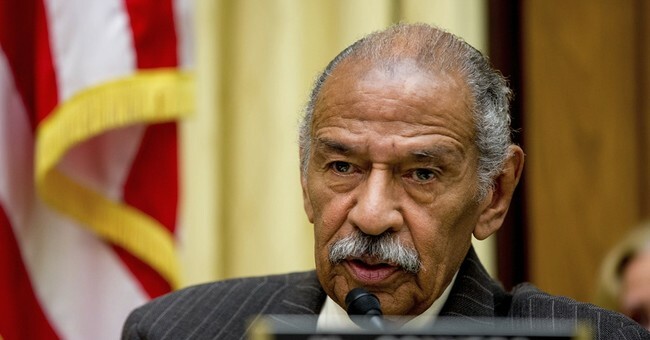 A second woman also accused Conyers of unwanted sexual advances in 2015 and 2016. “What’s going on exposes not just in Capitol Hill but America a sickness that I think that we have in this country and so this dialogue, this conversation is good,” Meeks added. When pressed on why he believes Conyers should immediately step down from his post on the Judiciary Committee, Conyers replied that “you can't, in my estimation, just in the scenario that we're in to be the ranking member of the Judiciary Committee at this time. I think that he should step down." “He should step down as the ranking member with the opportunity If he defends himself and says and shows there is nothing there, then he could come back," Meeks concluded. Conyers admitted to the settlement earlier this week but said that his office "resolved the allegations – with an express denial of liability – in order to save all involved from the rigors of protracted litigation." He says he is "expressly and vehemently" denying any wrongdoing. Attention has been called in recent weeks to sexual harassment problems on Capitol Hill. Sen. Al Franken (D-MN) is facing allegations of groping and forcibly kissing women, one of whom released photographic evidence of him groping her while she slept. A recent Congressional hearing called attention to the convoluted process staffers must go through to report harassment.